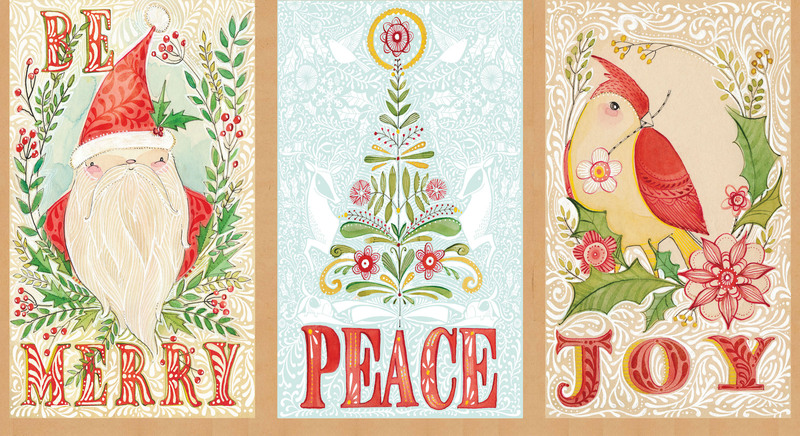 Discover the magic of the holiday season with the I Love Christmas Collection by Cori Dantini, where a smiling Santa, snowman, reindeer and pretty partridge adorn signature panel designs surrounded by boughs of holly. Sold by the panel (24" x 44"). If more than one panel is ordered, fabric will be cut in one continuous piece.